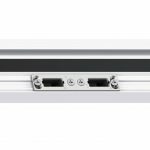 With a Yale Lockmaster multipoint locking system fitted as standard and with additional high security top and bottom shootbolts you’ll be secure and safe. 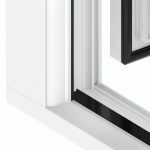 Choose from either a sculptured or chamfered uPVC profile for your French door to add a touch of style. 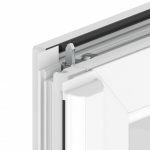 Our milled frame-to-threshold jointing system is exclusive to the Liniar uPVC French door, creating a clean and visually appealingly solution, eliminating the need for moulded plastic end caps for a neat, contemporary appearance. 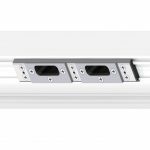 To allow easy access for buggy’s or wheelchairs, or if you want a more flush look to your French Doors choose our low threshold option. 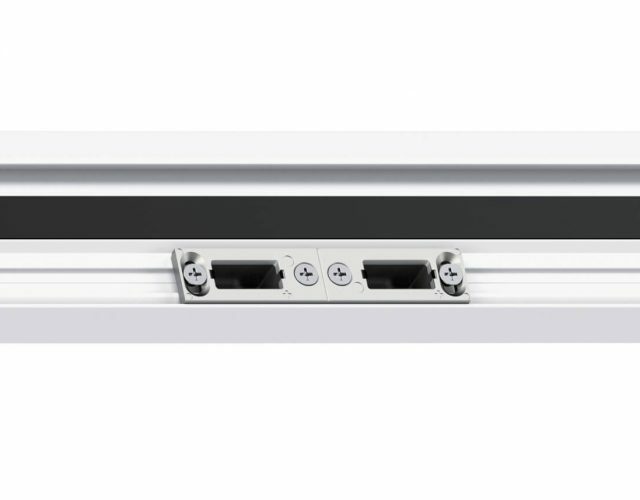 Optional fitted door restrictors are also available. 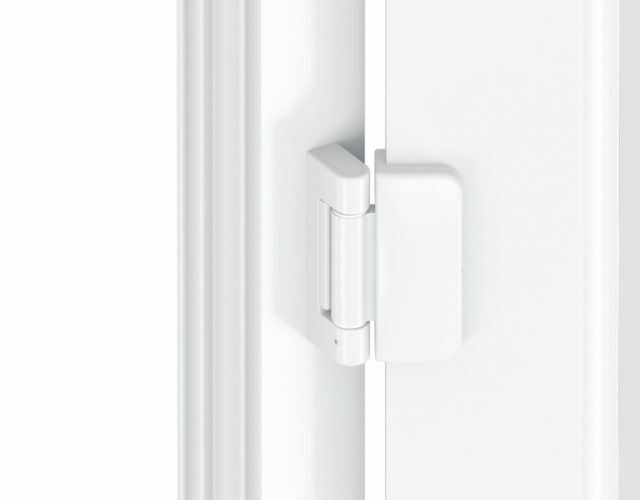 We offer optional Italian slimline Dynamic 2D door hinges by SFS Intec for beautiful slimline aesthetics. 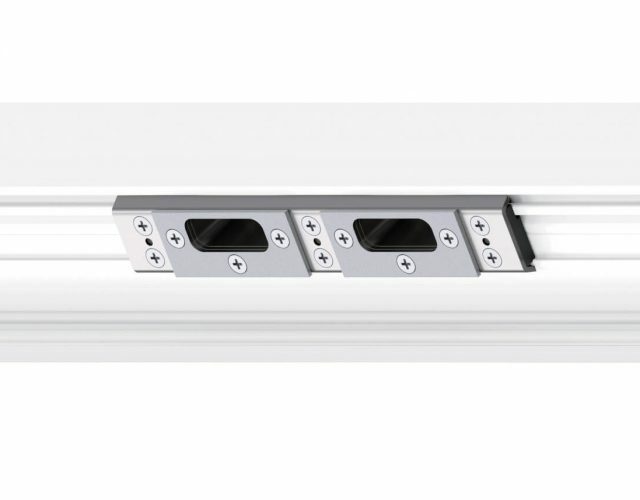 These hinges can be supplied in a range of 8 premium foil matched colours. 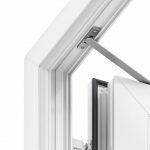 Our French Doors are fully accredited and have been thoroughly tested against a series of extreme physical attack methods. 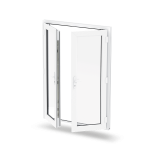 The doors have been designed to meet the following standards: BS 7412 - PAS 24, Secured by Design and BBA. 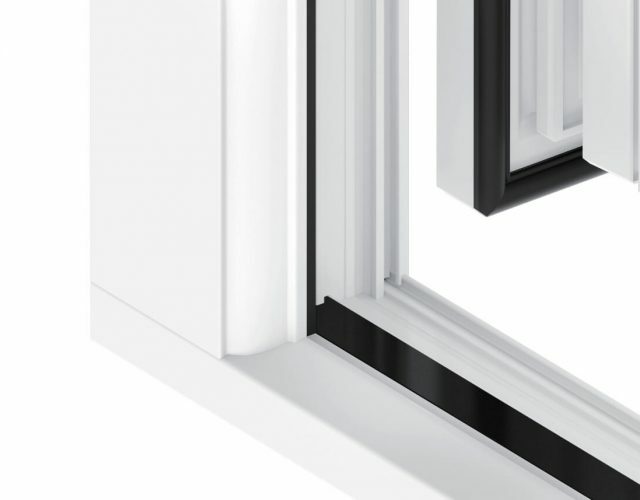 Benefit from Liniar's superb 10 year manufacturers guarantee against warping, cracking and discolouration. 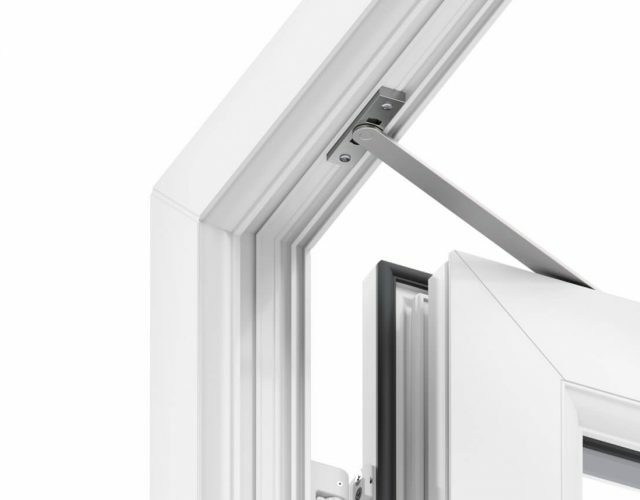 The profile used to create our French Doors is multi-chambered and ensures excellent thermal insulation, providing you with a warmer and more efficient home. 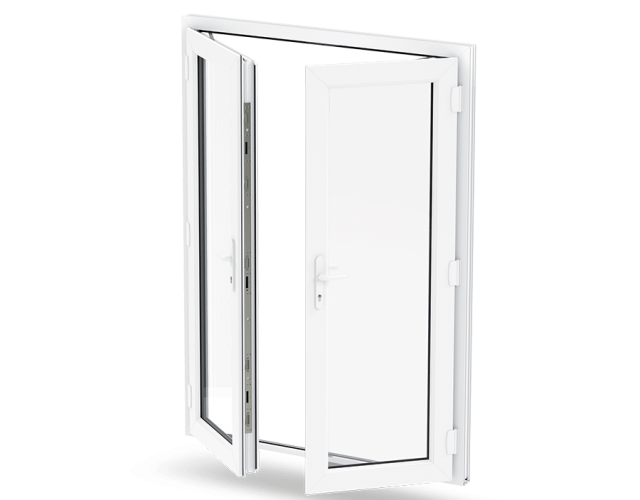 The Liniar French door is tested to extreme weather conditions which include wind and water tightness. Transform the look of any home with our stylish range of uPVC French Doors. With a touch of continental flair, our hand finished uPVC French Doors offer superior security and unbeatable energy efficiency. 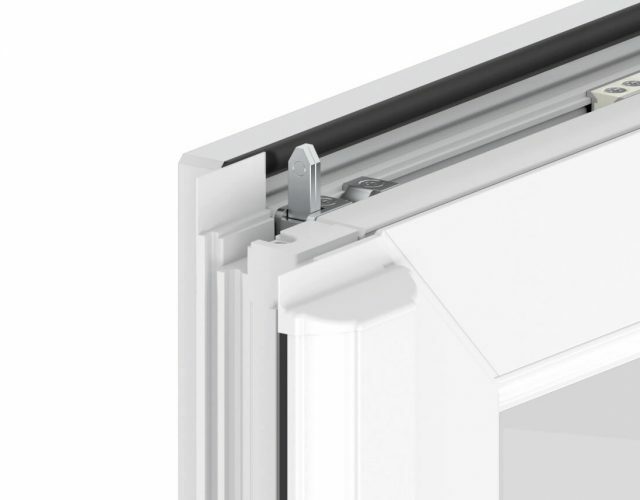 A milled threshold provides a clean and visually appealing frame joint solution – no need for moulded plastic end caps! 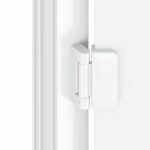 Additionally, with the option to have 2D door hinges this provides a slimline aesthetic making this a functional and attractive door.